Metal scroll-work lends a feminine touch to the side supports and framing of the beautiful Fairhope Collection. The display shelves of this entertainment unit, feature faux marble tops creating a timeless look and elegant functionality. 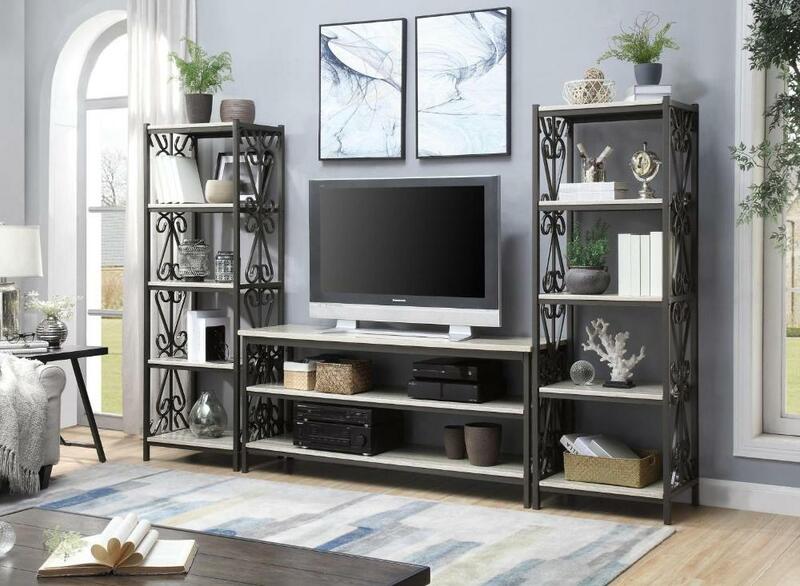 FEATURES: Dark Grey Finish ~ Transitional Style ~ Faux Marble Tops ~ Open Display / Media Shelves ~ Metal Scroll-Work ~ Side Piers Optional.